Feel the summer- beach vibe anytime, anywhere with Slightly Stoopid. This band offers a spectrum of sounds ranging from rock, alternative, surf rock, reggae, and ‘everything under the sun’, and this is your chance to witness this jam session with performances from Soja, The Grouch and Eligh & Zion I Crew. Hence, fans from different walks of beach music life are giddy with anticipation. This is one hot ticket that you ought to have in your hands a.s.a.p. Get your tickets now! Slightly Stoopid's energy is running high as they are currently touring the country; and yes, they have been doing this tirelessly for over a decade. 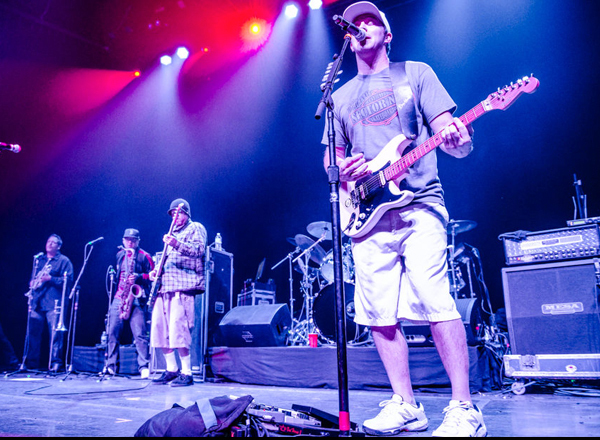 Whether they're performing on those colossal music festivals like Coachella, Harmony, Lollapalooza, Austin City Limits, and New Orleans Jazz Fest; or playing gigs in clubs or drawing droves of fans in concert halls and venues, Slightly Stoopid delivers an awesome performance to the hilt. From their 12 studio albums, they spawned ultra-catchy hit singles like Closer to the Sun," "Collie Man," "Wise Man," "Bandelero," "2 AM," "No Cocaine," "Mellow Mood," and "This Joint."